This is the first of a four part article on stress and cortisol. If you understand stress and cortisol, you will understand one reason why Americans are getting fatter and fatter. Sure we overeat, but stress and cortisol are arguably the main reasons why. Stress is an easy concept but hard to define. If I ask you when you are stressed, most people recognize the signs but most also have difficulty defining it. In terms of engineering or physics, stress is pressure or tension exerted on a material object. Stress in this definition is the strain placed on a object that can cause it to fail. You are telling yourself this is not the same as the stress humans experience. It is a little different but really it is essentially the same. Sure the stress we referring to is more of an emotional strain but it can be physical and is very much the same thing. Simply put, this stress, to humans, is a state of mental or emotional strain or tension resulting from adverse or demanding circumstances to a physical or emotional stimuli that disturbs our mental or physical equilibrium. Stressors are the circumstances that cause the tension. The degree of stress caused by a stressor is different for each individual. One person may find a task stressful and another does it with little to no effort. I have served in combat which is a very stressful situation. Some folks can handle it with little to no assistance and others are completely drained after an hour. Not all stress is bad. Stress is a normal part of life and a certain degree is good thing. A small amount of stress on a day to day basis is a good thing because it keep us on our toes and excites our senses. It keeps us alert and active. Consider it similar to going to an action and adventure film. It is good to have a little excitement in your life. The problem comes when the excitement is chronic (repetitive and long lasting) and your body is unable to fully recover. Chronic stress causes health problems such as obesity, high blood pressure, diabetes, and hypertension. High Cortisol Effects: From DrAxe.com. With these symptoms, you can easily see why stress effects your efficiency and ability to focus at work. It is very important to know how to control your stress and reduce your exposure to stimuli that cause you to become stressed. Above is an image from Dr. Axe. I highly recommend that website. Cortisol is one of the stress and steroid hormones that is released at night while you sleep and it encourages storage of energy and repair of the human body. It has effects on every organ in your body and it prepare your body for the stress and hardship such as starvation. The negative effects of cortisol are very clear and are illustrated thoroughly in medical text books and journals. High levels in the morning make you energetic and awake. Low levels at night make you sleepy and results in the storage of energy as fat. Both are likely not what you want if you are dieting or trying to maintain your weight. 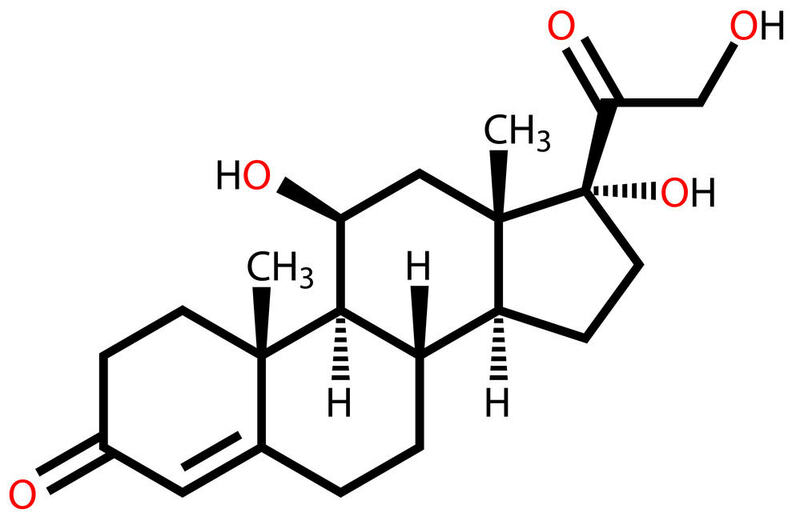 What causes cortisol to increase? What does cortisol do that makes you fat? How do I reduce my stress? Sure, a lot of the research on cortisol occurs in subject with abnormal levels f cortisol that are in the extreme group such as Addison’s Disease or Cushing’s Syndrome. I am certain you can see why increasing cortisol is a bad idea. Clearly if you are dieting, cortisol decreasing you ability to burn fat for energy and increasing fat storage would reduce weight loss. But how are stress and cortisol related? My next article will go deeper into the interaction between stress and cortisol and why it is good to control your stress level. The Battlefield: How Cortisol Makes You Unhealthy. A lot of the research comes from a few website but in particular from Dr. Axe and Chris Kressler.